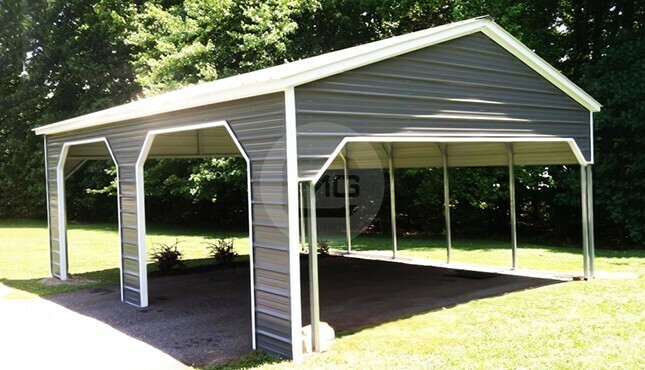 The metal carport shown above has dimensions of 18’w x 30’L x 9’H. 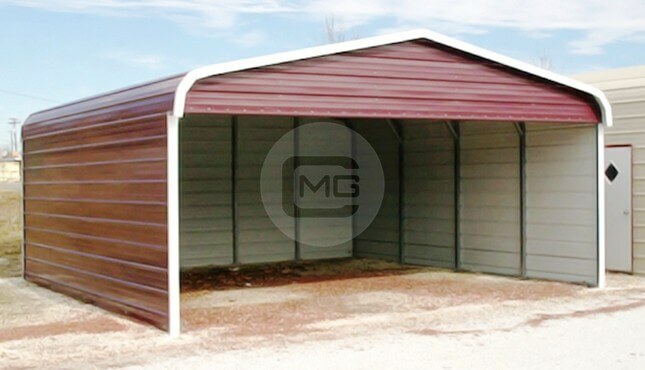 It features two closed sides, one closed end, one gabled end, and a vertical roof. 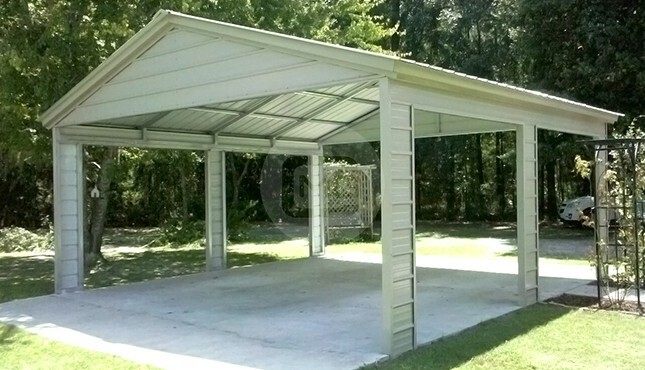 The vertical roof is our top-selling roof style, an excellent choice for areas that experience extreme weather. 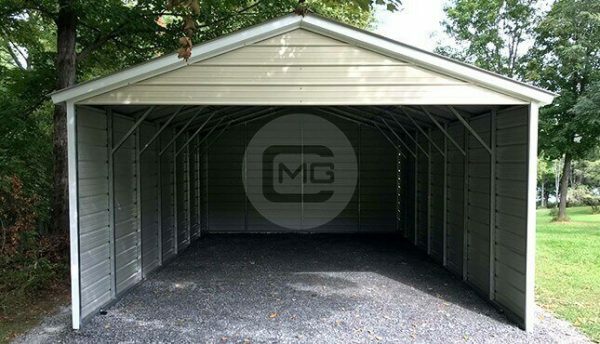 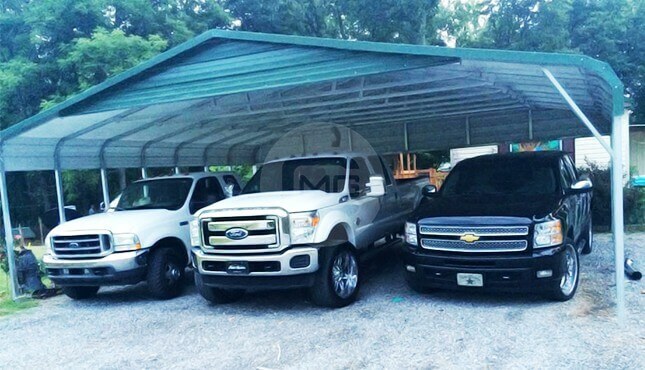 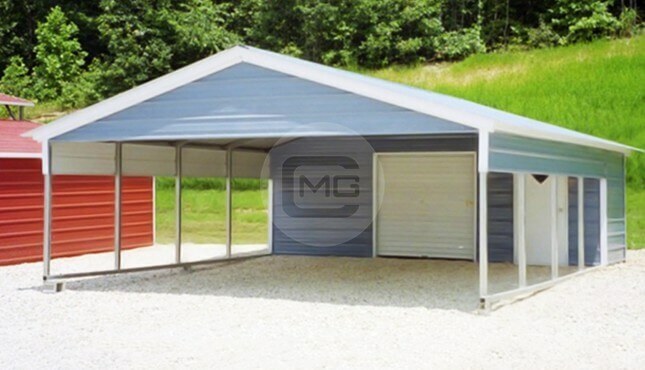 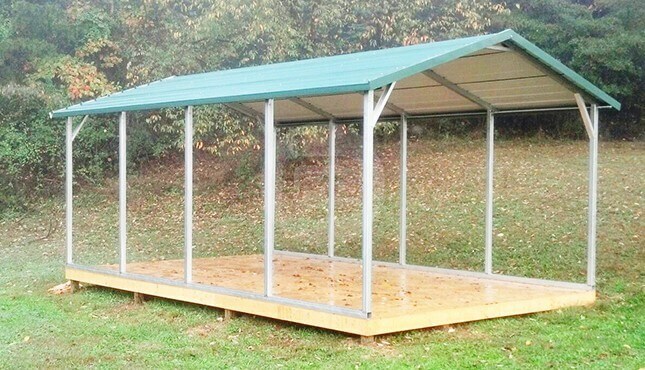 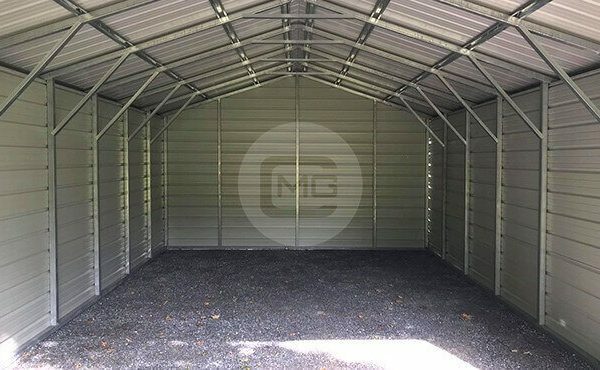 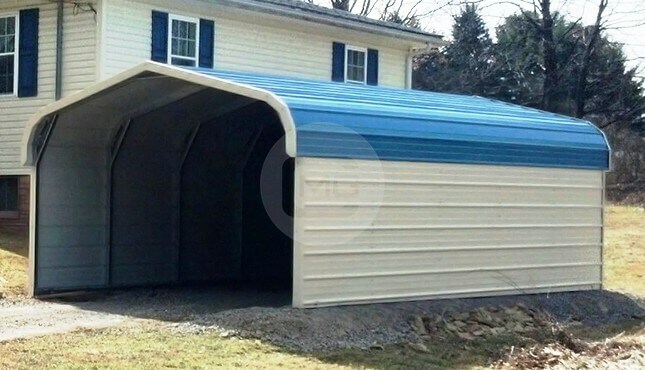 This carport can be used as a shelter for vehicles, storage for cut firewood, lawn mowers, fishing gear, or Halloween and Christmas decorations. 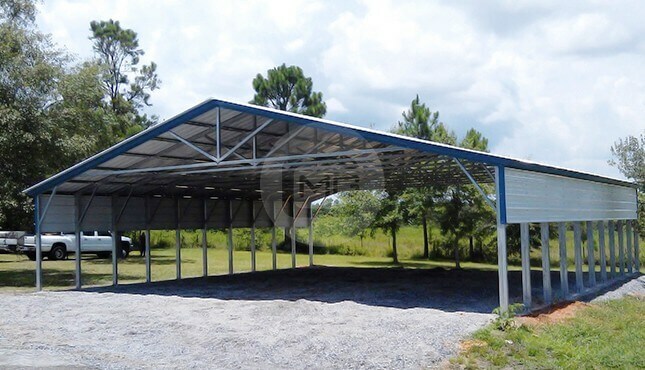 If you have specific requirements to meet, you can give one of our building specialists a call for assistance with the designing process. 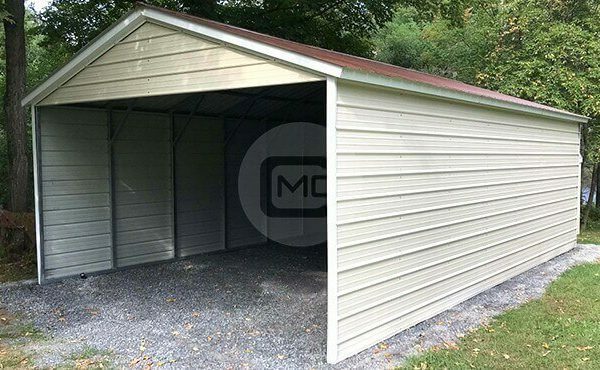 One year workmanship warranty, ten year panel warranty (chipping and cracking only), and 20 year rust through warranty on both the 12 gauge and 14 gauge frames.